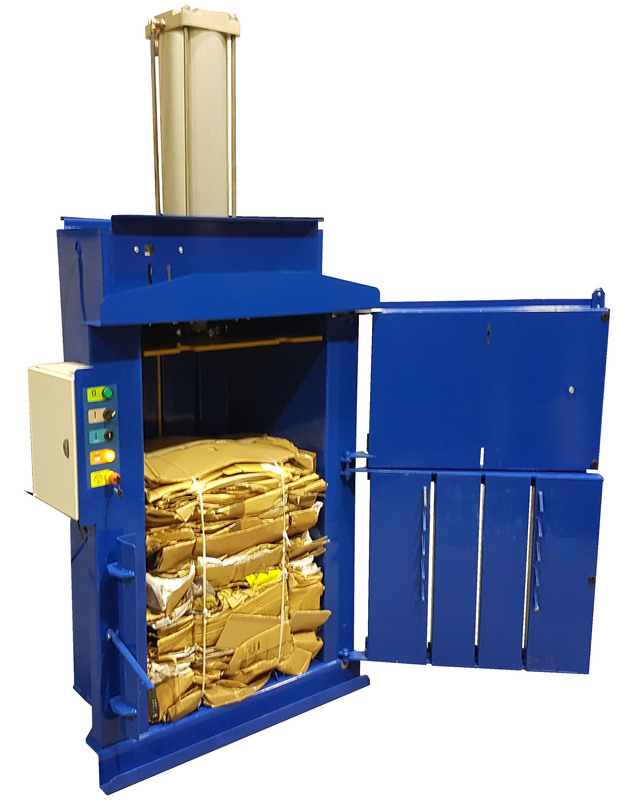 Compact design makes this baler ideal for locations where space is at a minimum e.g. gas stations, retail oulets, offices, bars, restaurants and fast food outlets. PLC panel with automatic compaction cycles, E-stop button and bale full light.